Shanghai is blessed with many charming water towns, which are representative of classical Chinese gardens. Most of them are available for a day trip from Shanghai, Suzhou and Hangzhou or make good weekend excursions. All tours can be tailored. If you can’t decide which one you should take, just ask our travel advisor team for a tailor-made trip. Please have a look at our recommendation level of six major water towns below. = Excellent; = Good; = Average. 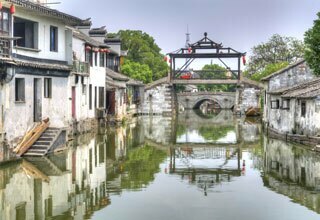 Experience Suzhou city and the most authentic water town in China, including a visit to Tuisi Garden, a World Heritage site. 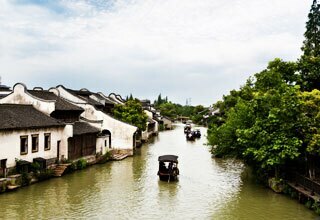 Visit Tongli, Wuzhen and Nanxun with a private English-speaking guide who learn the good timing and points well for photography. A package tour offer service from pickup to farewell in Shanghai. 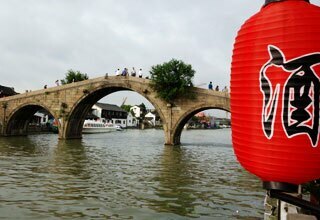 Visits include the essence of Shanghai, Suzhou and Zhouzhuang Water Town. This is a package day tour covering Zhujiajiao Town and Seven Treasures Town. A local lunch and private hotel pickup and drop-off are all included. 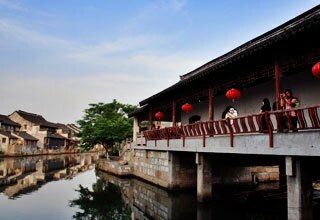 Wuzhen is divided into two parts - West Part and East Part. You will visit east part,which keeps the original atmosphere, buildings and culture. Enjoy the real tranquility in this small town with a boat ride on the canal. Hotel pickup and transfers are included. A local lunch is arranged in a local restaurant. Xitang is the film base of Mission Impossible Ⅲ. A boat ride, visits to must-see attractions in the town with a private guide and a car are covered. This is my first time visiting Shanghai and the water towns, which one should I go to? 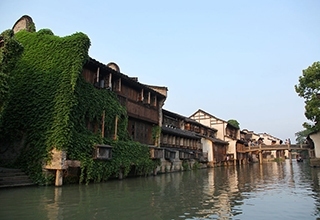 Zhujiajiao, Tongli, Xitang,Zhouzhuang and Wuzhen are the most popular towns. All of them are within 2 hours of Shanghai, Suzhou or Hangzhou. Besides the differences depicted above for each town, you should also consider the length of your stay. If you are staying for 3 days, you can choose Shanghai and Zhujiajiao as it is the most classical one. 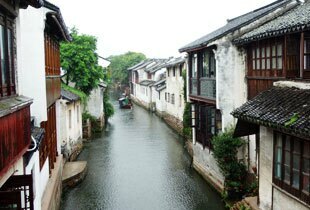 If you plan to visit 5 days, Shanghai plus Suzhou and Zhouzhuang would be a very nice choice. Similarly, Shanghai plus Hangzhou and Wuzhen will be a good option. This will allow you to explore these areas deeper and enjoy the real beauty of them. What does a water town package tour include? A water town package tour usually includes a private English-speaking guide and a private car. The accommodation is arranged in our selected hotels with breakfast according to your budget. Lunches are in local restaurants. Dinners are your own arrangement, but your private guide is ready to give you recommendations for great local food. Each tour can be tailored based on your unique requirements. Just make an inquiry and tell our travel advisor team your requirements. What is the best time to visit these water towns? Water towns are beautiful in different seasons. The towns show their unique beauty on a sunny day, rainy seasons or cloudy days. So there’s no need to worry about missing the best season of a town. April, May, September and October are usually considered as the best seasons to visit due to the comfortable weather to enjoy and take good photos. July and August are Chinese summer holiday and also the hottest seasons when most Chinese families may go out for holidays. These two months are the most crowded. March, June and November are known as shoulder seasons when there are not as many travelers. Winter is cold with only a few visitors. Can I take bullet train to visit these water towns? There are no bullet trains to these water towns. Since it is not far away from Shanghai to Suzhou and Hangzhou by car, it is better to take a private package tour with a private car to visit these places. Plus, it gives more flexibility. I am a Laowai living in Shanghai, what&apos;s your recommendation for a weekend break? It is always worth enjoying a night in a water town! 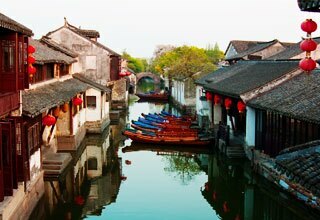 Take a bullet train to Suzhou or Hangzhou, and then spend one night in a water town nearby. This is a perfect option for a weekend break in Shanghai.